Earn up to 37,650 reward points. Not as common as the E3L, the E2 is a medium large bore instrument that plays slightly bigger and broader in a fixed bell model. The larger bore allows the player the ability to lean a little harder into the instrument at louder dynamic levels while the bracing provides additional stability. Founded by the legendary trumpet player and teacher, Renold O. Schilke, Schilke Music Products has been a supplier of top-quality trumpets, cornets, and brass accessories since 1956. 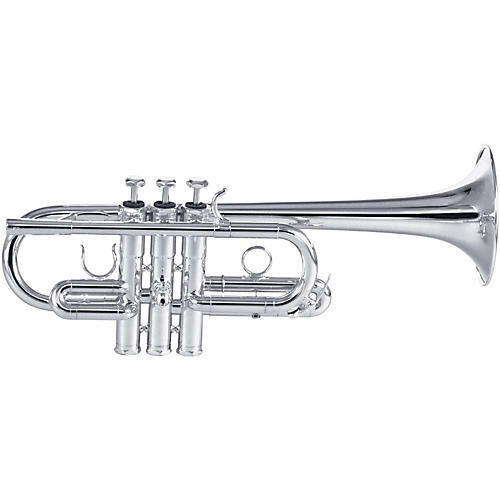 Their trumpets are known the world over for their balance of superior tone quality, excellent intonation, and ease of response.